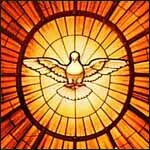 What is the Holy Spirit? Or better, Who is the Holy Spirit? To many Christians the Spirit is a complete mystery. What does the Holy Spirit actually do? This series of 11 lessons, taught as a free e-mail study, is designed to explore the key Bible passages about the Holy Spirit. It doesn't try to be comprehensive, however. To cover all the verses on the Spirit would be mind-boggling. However, it is designed to be essentially complete, helping you to understand what a disciple needs to know so you can encounter the Spirit and learn to walk with Him. This is our 46th online Bible study since 1996. If you've participated in one before, you know how God can use them in your life. If not, then you have a treat in store for you. This is an cross-denominational study designed to help you grow as a disciple of Christ. -- Dr. Ralph F. Wilson. About the leader. This isn't just a study of Biblical theology; it is designed to help you grow in the Spirit. Each lesson contains several discussion questions to help you interact with key concepts in the passages we're examining. A weekly Growth Assignment helps you grow in your relationship with the Spirit. Over the last fifty years I have studied the Holy Spirit, learned to discern his voice, observed various gifts of the Spirit in action, and experienced some of them in my own life and ministry. I have a growing conviction that the Holy Spirit's power and gifting are undiminished in the twenty-first century. His power is just as vital now as in the first century church, his presence just as sweet. He is like a powerful flowing river, and I long to be caught up in His current more and more. I invite you to go river-rafting with me! I encourage you to sign up for this study today so you don't forget -- and invite your friends to do the same. If you sign up now, you'll receive the first lesson this on the Friday after you subscribe. There is absolutely no charge for these e-mail lessons. You can respond to the discussion questions using the Joyful Heart Bible Study Forum -- and read others' answers to reinforce your own understanding. With each lesson you'll receive a link to a 25- to 40-minute audio teaching with me reading the lesson. Some who learn better from hearing than from reading really appreciate this. You can download and reprint free Participant Handouts if you're leading a class or small group. If you sign up now, you'll receive your first lesson this on the Friday after you subscribe. There is absolutely no charge for these e-mail lessons.